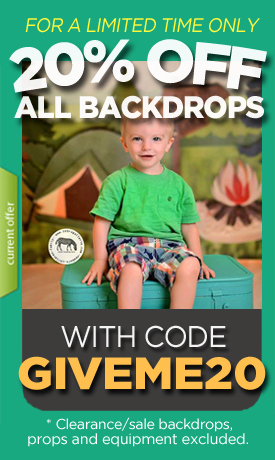 This is an adorable and affordable children's portrait backdrop. It features colorful planes that loop in and out and all around. This airplane backdrop will definitely bring a big smile to your subject's face.